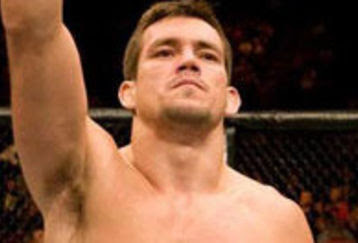 A highly anticipated welterweight bout between Demian Maia and Jake Shieldsnow has a home. The fight is reportedly set to headline UFC Fight Night 29 on Oct. 9 in Brazil, according to a report from MMAFighting.com. The venue is targeted to be the Jose Correa Gymnasium in Barueri, São Paulo, according to Combate.com. Maia was supposed to be fighting on the recent UFC 163: Aldo vs. Korean Zombie fight card in Rio de Janeiro, but had the fight yanked out from under him when Josh Koscheck withdrew due to injury. Following a roller coaster ride during his last couple of years at middleweight, Maia (18-4) dropped to welterweight last year and hasn’t looked back. He is currently 3-0 at 170 pounds, racking up victories over Dong Hyun Kim, Rick Story and Jon Fitch. Maia hasn’t fought since defeating Fitch at UFC 156 in February. Shields (28-6-1, 1 NC) has also bounced around weight classes. He left Strikeforce as the promotion’s middleweight champion, but dropped to welterweight upon entering the Octagon. He defeated Martin Kampmann in his UFC debut, but then lost back-to-back bouts to Georges St-Pierre and Jake Ellenberger. Shields then jumped up to middleweight where he defeated Yoshiro Akiyama, but had a victory over Ed Herman turned to a no contest after Shields failed his post-fight drug test. He returned to welterweight at UFC 161 in May, winning a split decision victory over Tyron Woodley.